As the last part of Berg & Berg's new collection we have some great leather items up for a closer look. The Norwegian company first introduced their leather products some seasons ago and has since included more products. 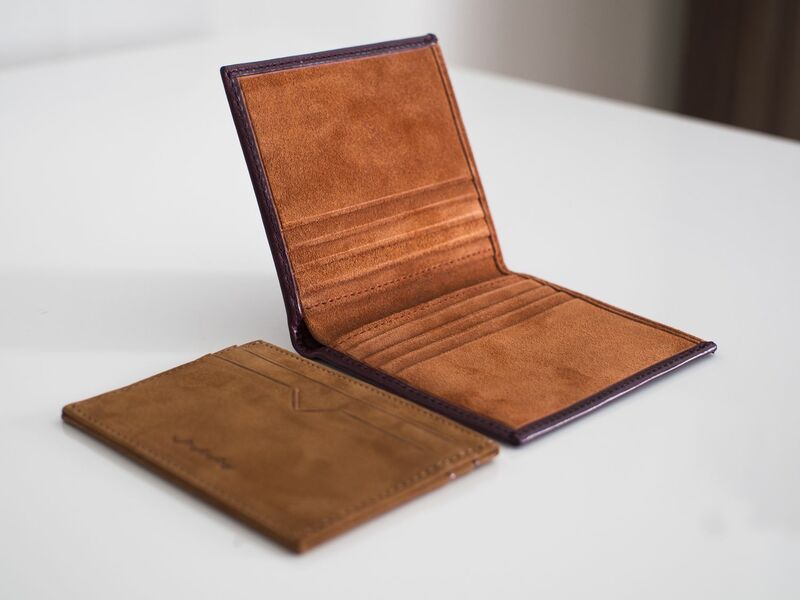 Today the new S/S 14 collection has card holders, wallets and portfolios. 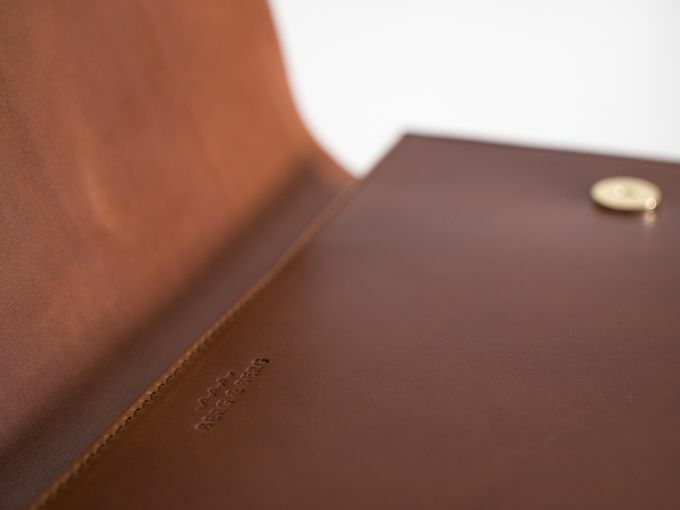 All products are made from full grain vegetable tanned leather and have been handmade in Lombardia (Italy). I've liked the designs from previous seasons a lot and was very happy to ge to try out some of the new additions. Here are some of my thoughts with high quality pics included as per usual. 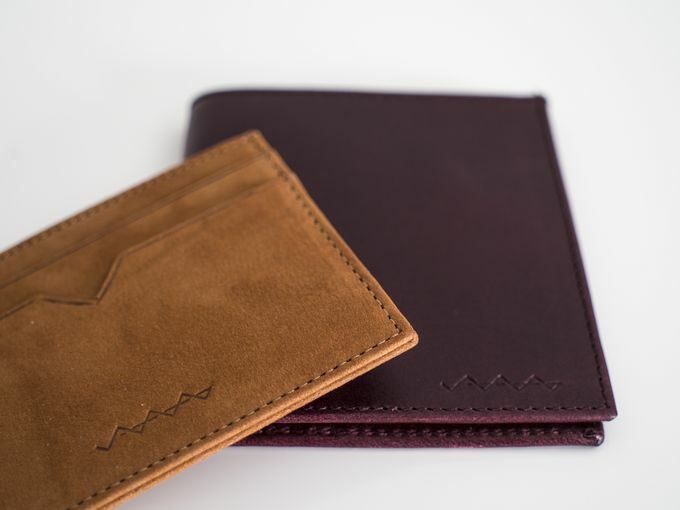 Seen here are the biscuit nubuck card holder and the oxblood bifold wallet. I have to say I really like both of them. Both of the items have been beautifully finished with seemingly very careful stitching, and I feel the designs are quite elegant. 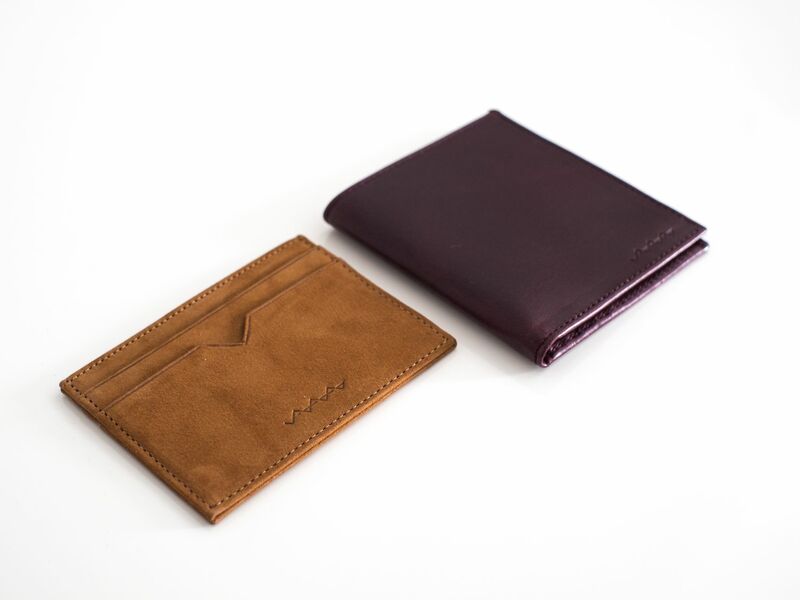 That said, both the nubuck card holder and the suede lined wallet have that spezzatura factor that we menswear enthusiasts like. Other colors are available, but these are probably my favorites. Berg & Berg's logo is maybe the best-looking in the business and works well on the cover, understated but pretty. I really like both of these, and will probably start rotating between a couple of wallets now. The oxblood wallet makes a classy work wallet that will certainly catch your colleagues' eye (in a good way, an elegant wallet makes an elegant man) when paying for lunch where as the nubuck card holder simply looks cool when you pay for a beer on a sunny summer day. Then the party piece. 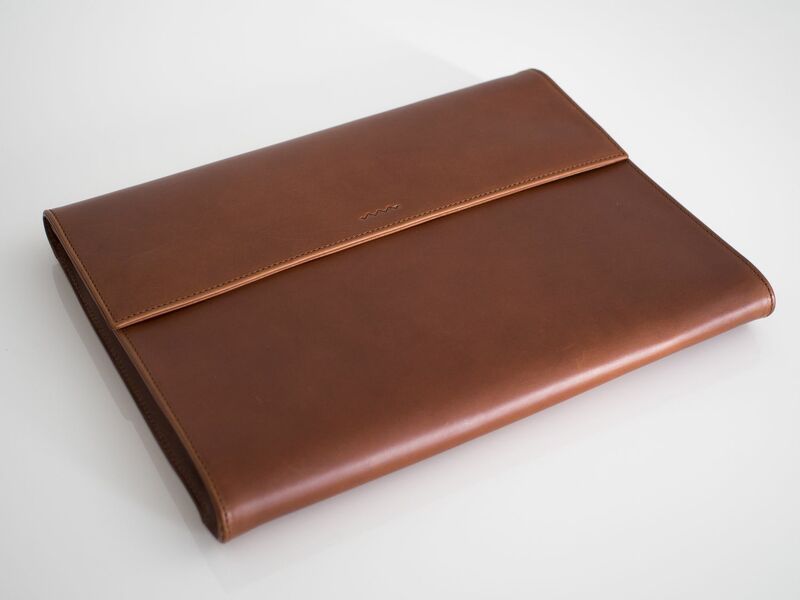 A classic portfolio from the same full grain Valchetta leather, currently available in six colors. The one pictured here is the toffee one. Again, beautifully crafted and a lovely simple design. The brass magnet fastening pieces look good and have a very optimal amount of "fastening strength" to them - this thing doesn't open unless you mean to open it. The inside has a leather pocket that fits something small, keys perhaps, and is lined with khaki cotton twill fabric. These kind of items are always a little bit hard to review as there's very little else than the design, materials and finishing to evaluate. The looks are obviously a matter of taste (although can someone not like this?) but the materials and the craftmanship are really top notch. 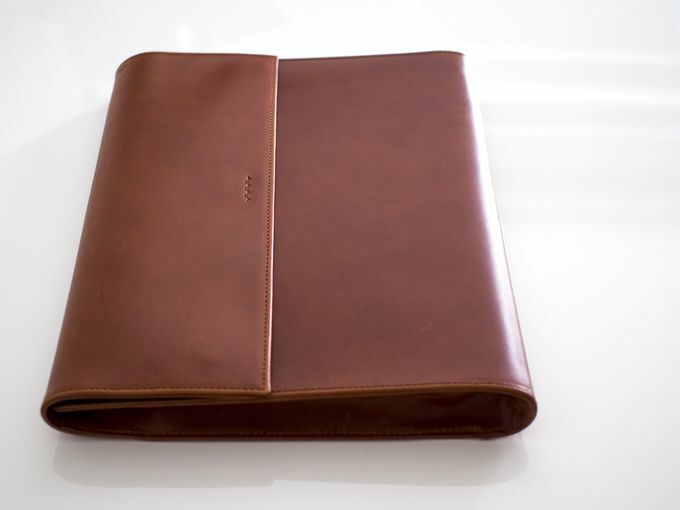 My personal favorite thing about this portfolio bag is definitely the leather. You can see the life it has already had and just see how beautifully it's going to age. Especially in a medium dark brown like this. If I ever need to describe someone the difference between full grain leather and corrected grain leather, I'm just going to show them this bag. Next week we will be back with more item reviews and inspiration looks. I'm also updating my Instagram more actively now, so remember to follow me there.